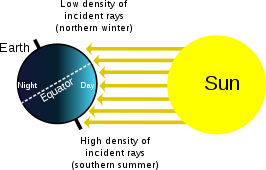 Average annual temperatures in equatorial lowlands are around 31 °C (88 °F) during the afternoon and 23 °C (73 °F) around sunrise. Rainfall is very high away from cold current upwelling zones, from 2,500 to 3,500 mm (100 to 140 in) per year. There are about 200 rainy days per year and average annual sunshine hours are around 2,000. Despite high year-round sea level temperatures, some higher altitudes such as the Andes and Mount Kilimanjaro have glaciers. 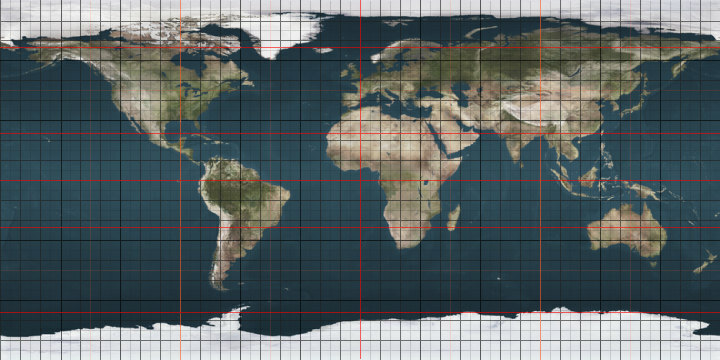 The highest point on the Equator is at the elevation of 4,690 metres (15,387 ft), at 0°0′0″N 77°59′31″W﻿ / ﻿0.00000°N 77.99194°W﻿ / 0.00000; -77.99194﻿ (highest point on the Equator), found on the southern slopes of Volcán Cayambe [summit 5,790 metres (18,996 ft)] in Ecuador. This is slightly above the snow line and is the only place on the Equator where snow lies on the ground. At the Equator the snow line is around 1,000 metres (3,300 ft) lower than on Mount Everest and as much as 2,000 metres (6,600 ft) lower than the highest snow line in the world, near the Tropic of Capricorn on Llullaillaco. 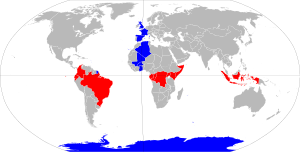 Wikimedia Commons has media related to Equator. This page was last edited on 14 April 2019, at 02:47 (UTC).